Lady Jazz is a lovely young woman of 21. Based out of Providence, RI, Lady Jazz is combining her doctorate studies with a modeling career. Right now she is studying to get her doctorate degree in Psychology. Lady Jazz has been modeling for just a little over a year, but has already landed modeling jobs with two clothing companies, Push (California), and Get Hi!p Society (Virginia). She’s also worked with a number of photographers, and hopes to keep her balancing act between college and career. She loves modeling and is currently working on building up her portfolio. She enjoys the glamour and excitement of modeling shows. Even though she wants to get her doctorate degree, she will continue modeling as well. 3375 Tell me a bit about yourself? 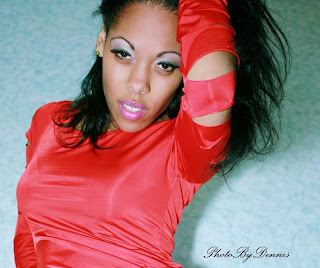 L. JAZZ I’m a 22 year old young lady, who can model, dance and act. I also work at a bakery shop and attend college for Psychology. 3375 How did you first get into modeling? L. JAZZ I was just doing 1 shoot for someone’s portfolio, and kept getting calls to do more and more shoots. L. JAZZ The thing I love the most about modeling, is the friendships you build with the people you collabwith they become like family. 3375 Who is your biggest inspiration, why? L. JAZZ My grandfather, he lives in a poor area but still provides and does what he has to do with a smile and an open heart each and every day. 3375 Where, if anywhere, would you like modeling to take you? L. JAZZ I always wanted to live in Puerto Rico, be with my grandpa and take care of him. If I can kill 2 birds with 1 stone with this one I would. 3375 What is your most memorable photo shoot? L. JAZZ My very 1st one, it opened so many opportunities for me. It’s the shoot that made me who I am today. 3375 How would you describe your style? L. JAZZ My style is comfortable, I rather be cozy and warm then glamorous and cold. 3375 What is your ideal weekend? L. JAZZ My ideal weekend is on a cruise ship with my family, no worries no drama, just fun and love. 3375 I understand that you are studying Psychology in school. Why did you decide to take Psychology? L. JAZZ Ever since middle school I wanted to help people and give advice. Psychology is always a major I been interested in and always wanted to take it on. 3375 How have your Psychology classes help you in day to day life? L. JAZZ My classes help me be more optimistic with everyone’sthoughts and feelings. Gives me a better perspective on life. 3375 What influence has your family played in your career choices? L. JAZZ My family hasn’t really played a huge part in my life; I am my own influence with everything. 3375 Where do you see yourself in 5 years? L. JAZZ In 5 years I see myself with my Masters in Psychology in Boston, with possibly 1 child. 3375 Any words of inspiration? L. JAZZ Whenever someone says you can’t do something, prove them wrong. L. JAZZ I would love to shout out my Mother, all 8 of my siblings as well as my Aunty Lisa, My Uncle Beave , my best friends Priscilla and Jon. Also RahShon and LaToya.